Consider attending Professor Stephen Rachman’s lecture on Poe’s poem, “Al Aaraaf” in the auditorium at the Arab American National Museum on Tuesday, March 15, 6-7 p.m. 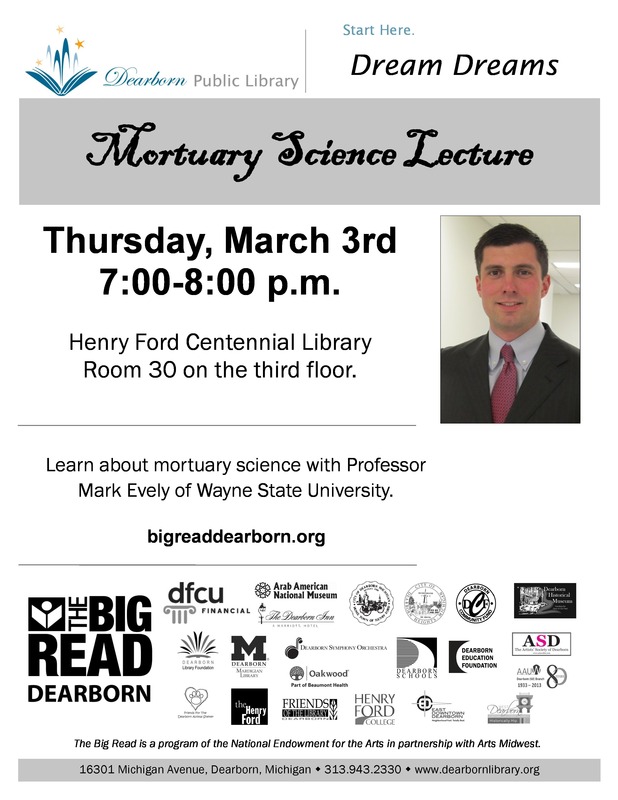 Here is the flyer. Three tales of terror involve a grieving widower and the daughter he abandoned; a drunkard and his wife’s black cat; and a hypnotist who prolongs the moment of a man’s death. Starring Vincent Price. Directed by Roger Corman. Not rated. 89 minutes. 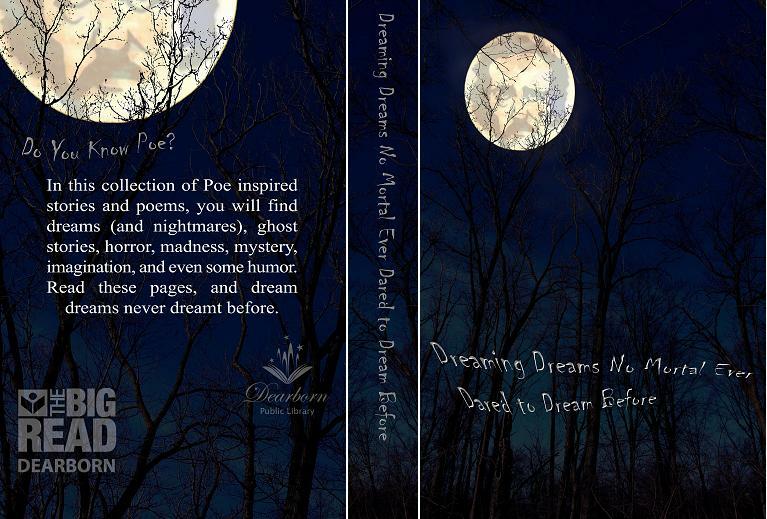 Discussion of Poe’s “Great Tales and Poems” with Mardigian Library’s book group, R.E.A.D. Enjoy some of our quirkier picture books and a craft in the spirit of Poe. Ages 5 – 8 years. (Younger children welcome, but please be aware the some stories may be scary.) Space is limited. .
Charles Sable, Curator of the Decorative Arts at The Henry Ford, will talk about the origins of Gothic Revival (GR), tying in Poe’s Dark Romanticism, and calling out examples of GR in the museum’s collection. 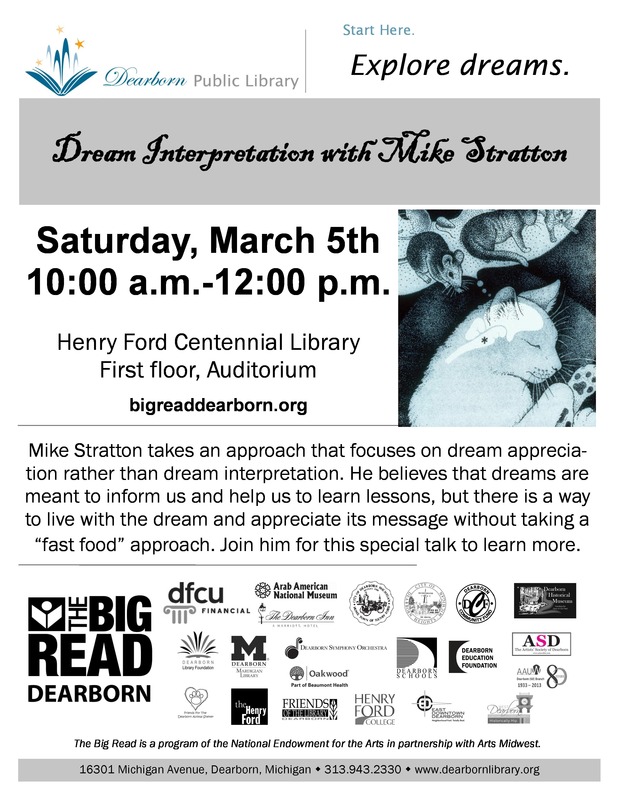 Learn what Dearborn was like in Poe’s day. Help solve a mystery at the library! Tickets required. 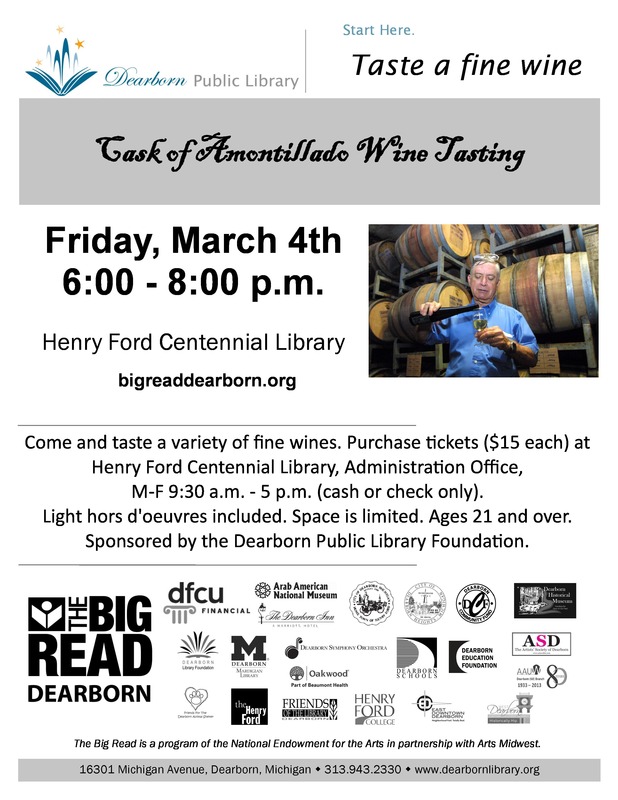 Sponsored by the Dearborn Public Library Foundation.